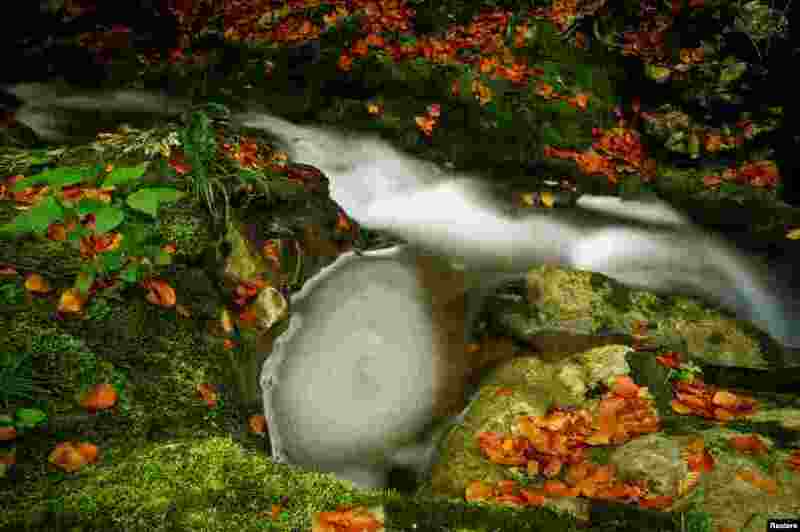 1 Le Veyron stream is pictured on an autumn morning at La Tine de Conflens in La Sarraz, Switzerland, Oct. 4, 2017. 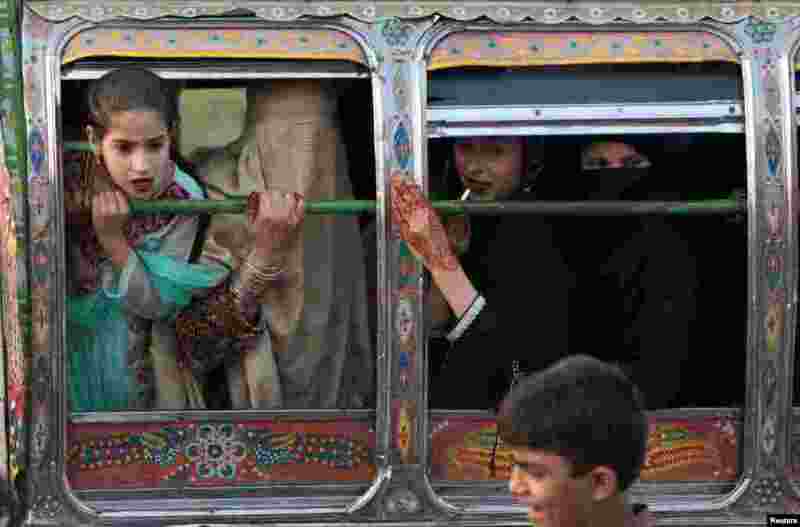 2 Women riding in a van react to something happening outside the van in Rawalpindi, Pakistan. 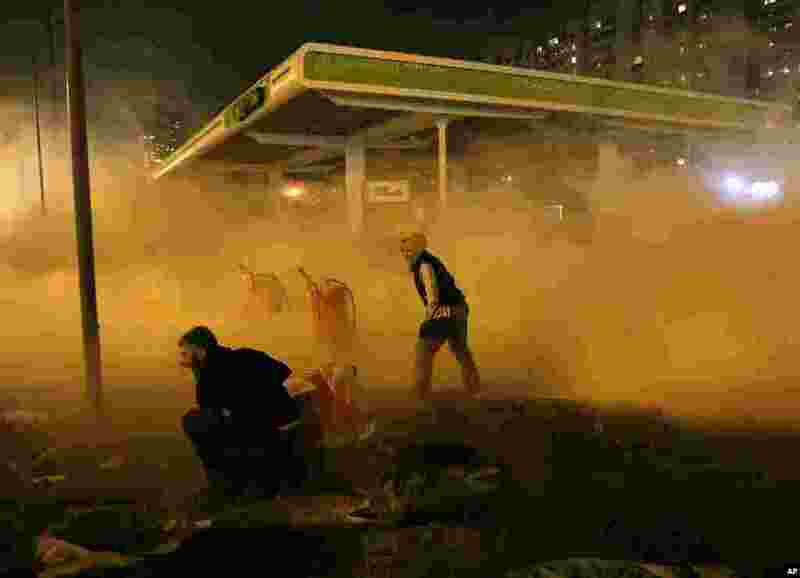 3 Protesters set off a fire extinguisher toward a petrol station under construction in a densely populated area in Kyiv, Ukraine, Oct. 4, 2017. 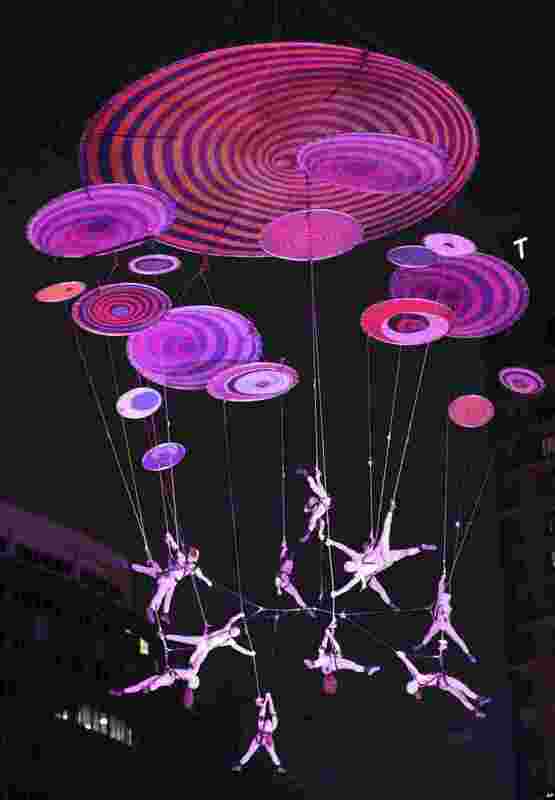 4 Performers of the Voala hanging from an aerial sculpture, perform the Muare Experience during the Seoul Street Arts Festival in Seoul, South Korea.